My first post about sci-fi/fantasy books with no romance seems to be popular, so I figured everyone might appreciate some more recommendations! Romance is great and all, but sometimes it’s nice to read a story that’s about family, or growing up, or plain ol’ taking down bad guys. I can’t promise you books that have absolutely nothing related to romance whatsoever, but I did manage to find some more books that are definitely not about romance. I only have five books this time, but I’ll be sure to keep doing more of these posts as I find more, and hopefully you all will enjoy these five non-romance books as much as I did! *Note: Some of these books have content that may be triggering or offensive. Please see my reviews for more info. This YA steampunk Frankenstein-retelling foregoes romance and instead focuses on the relationship between brothers, grief, and what it means to be human. What can I say? I like Frankenstein retellings, and interestingly enough, this ominous historical fantasy duology is also about brothers—twins this time. The main character does have feelings for someone that drive some of his actions, but don’t worry, this isn’t a romance story. This unique, gritty werewolf book is all about growing up and family, and it’s one of my favorites. The main character’s family members have relationships here and there, and there is a small section in which the MC himself has a girlfriend, but it’s really not the focus of the story. It’s the writing, the three main characters, and their familial bonds that really make this book shine. This comical urban fantasy is about a young Black vampire working with his friend, his creator, and a newly turned vampire in order to try and stop a bigger, badder vampire. 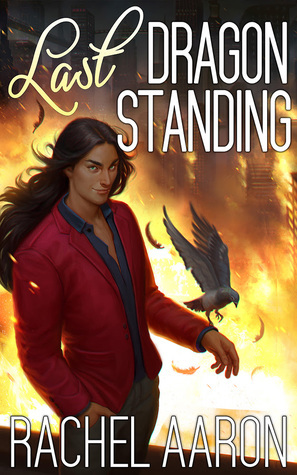 The main character is vaguely attracted to someone, so I don’t know what might happen in future books, but this one was strictly urban fantasy action and fun. If you like djinns, dragons, non-US settings, complex plots, and not always likeable but realistic characters, then you might enjoy this one. It’s a gritty, somewhat dark book set in Bangladesh about djinn politics and a group of people trying to stop a djinn from wiping out the country. Do you like books without romance? 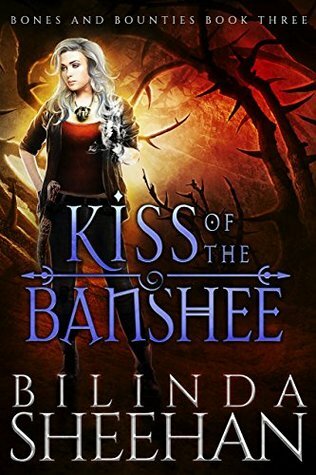 Do you have any more recs for sci-fi/fantasy books that aren't about romance? Yeah I’m always kinda surprised when I read a book WITHOUT romance, or with very little, because it seems like it’s kinda rare these days! Always nice to see examples of books that look at other relationships than just romantic ones. Of these, I think Mongrels (cause werewolves, after all) and Djinn City sound super interesting! This list is wonderful Kristin — thank you! I’ve been searching for a good werewolf book!! I’m definitely going to have to check out Mongrels! If you’re looking for a shifter story that’s different from the paranormal romance kind, then you should absolutely check out Mongrels! I loved it! I have got to find a copy of Mongrels! I’m also happy to see it on your “no romance” list. I don’t mind romance if a) the book is advertised as romance and I know going into it or b) the romance doesn’t take over the story. Mongrels is amazing! I agree, I really like romance sometimes, but sometimes it just takes over the story when it’s really not necessary. I loved This Dark Endeavor so much when I read it! I really need to pick up the sequel! You should! The sequel was really creepy! Now this is my kind of post! Thanks for the great recs. I really enjoy MacKenzi Lee’s writing so definitely adding This Monstrous Thing to my TBR. I have been seeing This Monstrous Thing a lot lately. It looks really good. This is a pretty serendipitous post for me, because I was just talking about how many books, though not romance, seem to contain romance. I know there are people, who want romance-free stories, and I could hardly think of any. Great job finding the five above. I have This Monstrous Thing, and have heard fantastic things about it. Yay, I’m glad I could be helpful! While I love romance in my books, sometimes it can be nice to have a book that’s focused on something else first or maybe doesn’t have any romance at all. Although I rarely read books with no romance at all, unless you count non-fiction books, lol. Most books I read have a side plot line romance or a hint of romance at least. I remember most of these books from when you reviewed them on your blog or showed them in your recap posts. I haven’t read as many books that focus on brothers or sisters, but those can be great. I mean, same LOL. I can’t do these posts very often because most of what I read does have romance at least on the side. But in the past year or two, I realized that, although I love when books have romance, I do enjoy books without romance too, especially when they focus on other types of relationships, like friendship or family. This Monstrous Thing looks really intriguing—I’ll have to check that one out! I enjoyed it, I hope you like it if you try it! I do like books without romance, because sometimes it feels like authors are just adding a romance because they think that’s what people want…or their publisher suggests it or something. It’s not always needed! I haven’t read any of these yet, but I do want to read This Monstrous Thing at some point as I love Mackenzi Lee. It does seem like romance is just pushed into books for no reason sometimes, and I agree it’s not always needed! I hope you like This Monstrous Thing! I need romance, even a little, but I know many readers don’t and I’m always happy to point those books out because they can be harder to find. It’s great to know there’s selection out there for everyone! Having just finished two books after each other where the romance elements really did nothing for the story, this post is perfectly time. I’ve already got Djinn City on my must-get-to list and the Mongrels cover is scarily eyecatching! I’m glad I could help with such good timing! I hope you enjoy Djinn City, and Mongrels too if you read that one! Hey, I’ve actually read the first two! And I really enjoyed them both. I don’t mind some romance thrown in but it’s also nice to find some books without it. Have you ever read “Gods of Prey?” I think you’d enjoy it. LOL I’m kind of the same. I love romance when it’s there as long as it doesn’t take over the story, except sometimes I do like when romance is the focus, but I also don’t mind when there’s no Romance. Although I’m not a fan of a lot of paranormal romance tropes. I didn’t think I liked books without romance either, but then I started reading some, and they grew on me :-P I hope you like any of these that you try! I hadn’t noticed, but you’re right, it is very me lol. I absolutely love sci-fi. I also really love no romance books. So this list was MADE for me. This Monstrous Thing has been waiting for me on my kindle forever and I love her historical fic duology so I need to get reading that one as soon as possible. Also, Frankenstein is involved so I am so there. The cover for The Dark Endeavour is so gorgeous <3 I waaaant! Yay this list is great for you! I really hope you enjoy This Monstrous Thing! And This Dark Endeavor if you read it! Djinn City sounds fascinating as does the twin brothers… actually I love the idea of both brothers books… love other relationship types to be explored in books! I love when other types of relationships are explored too! These sound amazing! I love non romance recs. Evelina @ AvalinahsBooks recently posted: Have Your Ever Finished A Book And Realized You’re Missing It Already? Book recs with no romance really shouldn’t be my thing since I kind of live for a good romance but sometimes you want a break from the romance and I’ve read many a fantasy book where I’ve despaired at how prominent the romance is as it takes over a perfectly good storyline. Kenneth Oppel is an author name I’ve not seen in a while I remember way back when reading Airborn and loving it. Like the sound of a Frankenstein retelling as well. Exactly, sometimes a story is great without any romance, and it’s frustrating when romance takes over for no real reason. I hope you enjoy whichever ones you get to try!